A soothing display of white LED lighting to set the mood during any bathing/sauna experience. Fully accessible and adjustable from the control panel these lights add just another layer to the perfect sauna experience you've always dreamed about. As the most widely used premium quality acoustical suspension system available, the DONN DX/DXL Ceiling Suspension System offers appropriate load-carrying capacities for acoustical panels, light fixtures and air distribution elements. Its components can be used in both general and fire-rated applications. Its sleek and minimalist are just two reasons the ribbon-inspired Vero is the perfect urban oasis. Getting ready in the morning is far from routine when you are surrounded by a bath that reflects your personal style. Repair your single Handle Shower Lever quickly and easily: replacement Shower handle lever fits MOEN shower trim kits . JAG Plumbing Products strives to bring customers the best products in Canada and make them available on the best online shopping platform: Homedepot.ca - Owned and Operated in Ajax, Ontario, Canada, JAG PLUMBING prides itself on offering Home Depot Customers durable, high quality, non OEM replacement plumbing parts. Repair your single Handle Shower quickly and easily: replacement Shower handle ball fits MOEN POSI-TEMP shower trim kits . JAG Plumbing Products strives to bring customers the best products in Canada and make them available on the best online shopping platform: Homedepot.ca - Owned and Operated in Ajax, Ontario, Canada, JAG PLUMBING prides itself on offering Home Depot Customers durable, high quality, non OEM replacement plumbing parts. White LED Lighting System A soothing display of white LED lighting to set the mood during any bathing/sauna experience. Fully accessible and adjustable from the control panel these lights add just another layer to the perfect sauna experience you've always dreamed about. 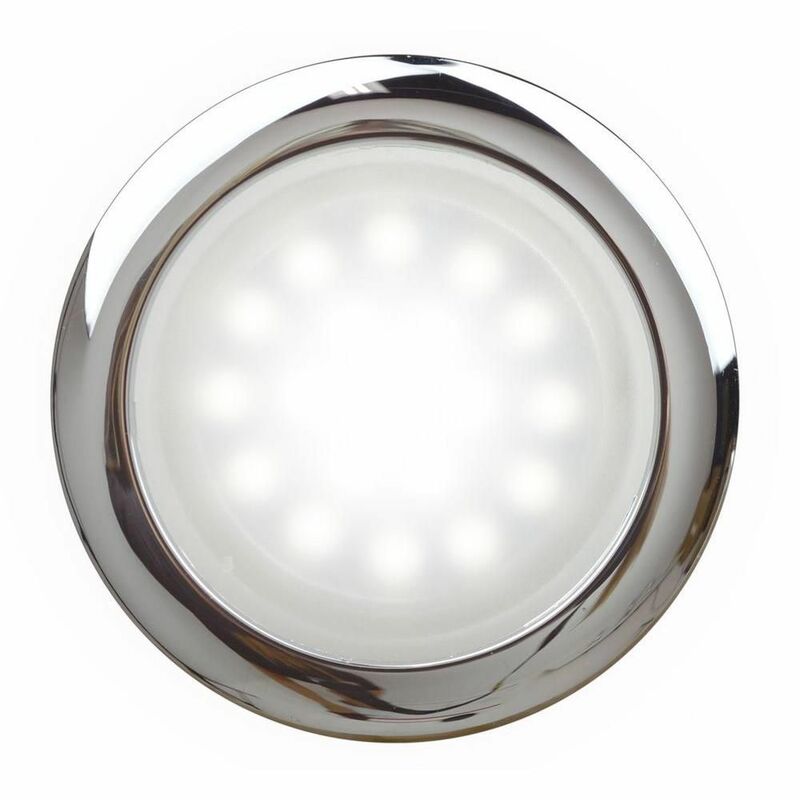 White LED Lighting System is rated 1.0 out of 5 by 1. Rated 1 out of 5 by HDFan from HD should not carry this product This product is mislabeled on the website as 120v, when it in fact requires 12 or 24 vdc. It arrived with no instructions or installation diagrams. I assumed, since it has an internal circuit card, it was truly a 120v input, so I connected both and they both lit for a millisecond and failed. I'd suggest that HD correct the description on the web page to say 12 or 24 vdc, which ever is correct, and tell the supplier they bought it from to include installation diagrams and instructions when they ship the product. It just arrived in a box with no packaging or labels, just the manifest/invoice and shipping label. I returned to the store for a refund.